The ProRide is an elegant & easily-installed bike carrier with a self-adjusting frame holder allowing you to load and unload your bike quickly and easily. 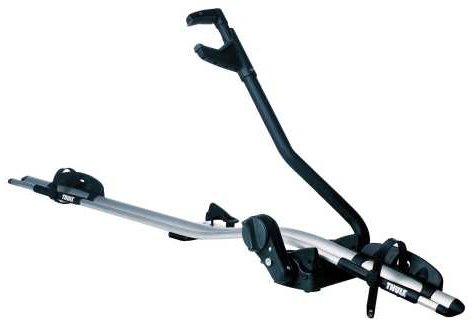 The Thule ProRide 591 is constructed from aluminium making it lightweight, strong and stylish. 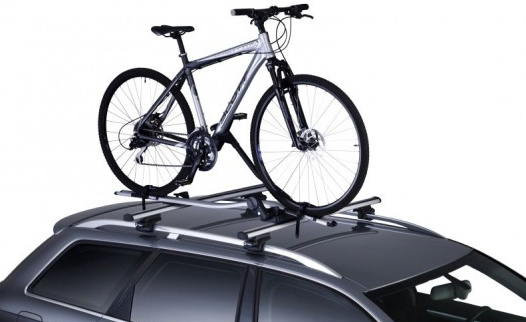 This bike carrier attaches to roof bars (available separately) and secures the bike in place using quickly release straps on the front and rear wheels as well as a self adjusting arm which clamps to the frame of the bike. Most bikes are compatible with the ProRide providing the tube size is within these dimensions (tube diameters 22 to 80mm, Oval frame limit is 80x100mm) with all wheel dimensions. The ProRide includes built-in locks to secure the carrier to the roof bars and a lock on the frame clamp securing the bike from theft. Fits both standard square & aero bar roof bars using the the T track system. 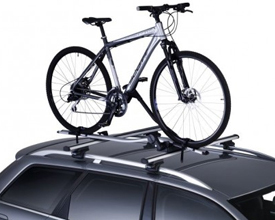 Most car roof racks can be fitted with more than 1 ProRide cycle carriers, providing the overall weight is within the maximum roof rack limit.